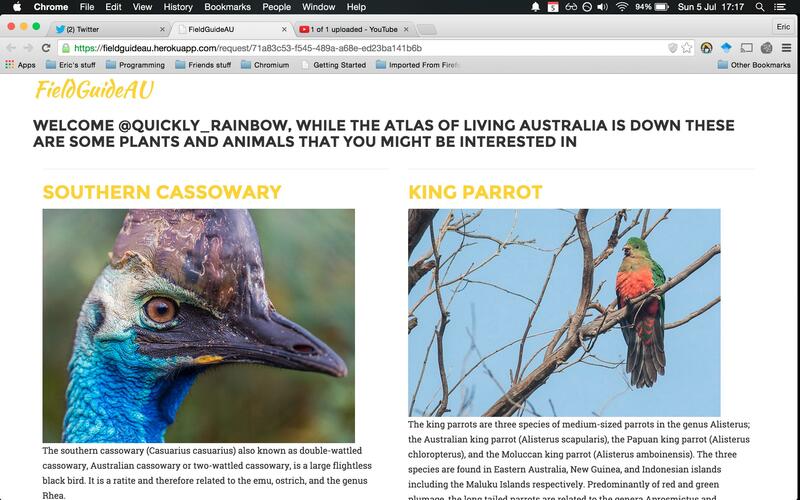 FieldGuideAU provides data on nearby animals and plants for budding scientists and explorers. Perhaps you just found a bright new plant and wanted to find out it's name. Just tweet at @FieldGuideAU with your location and it will give you a link to a list of common plants and animals in your area. It will include a picture of the plant or animal, a short summary, and a link to wikipedia for more information. The project relies on data provided by the Atlas of Living Australia (ALA). Just tweet at @FieldGuideAU with a location and it will tweet back nearby plants and animals. At first the place name is translated to geolocation(lat,long) through the google maps API. The ALA API is queried with the geolocation and returns the animals and plants in the area. 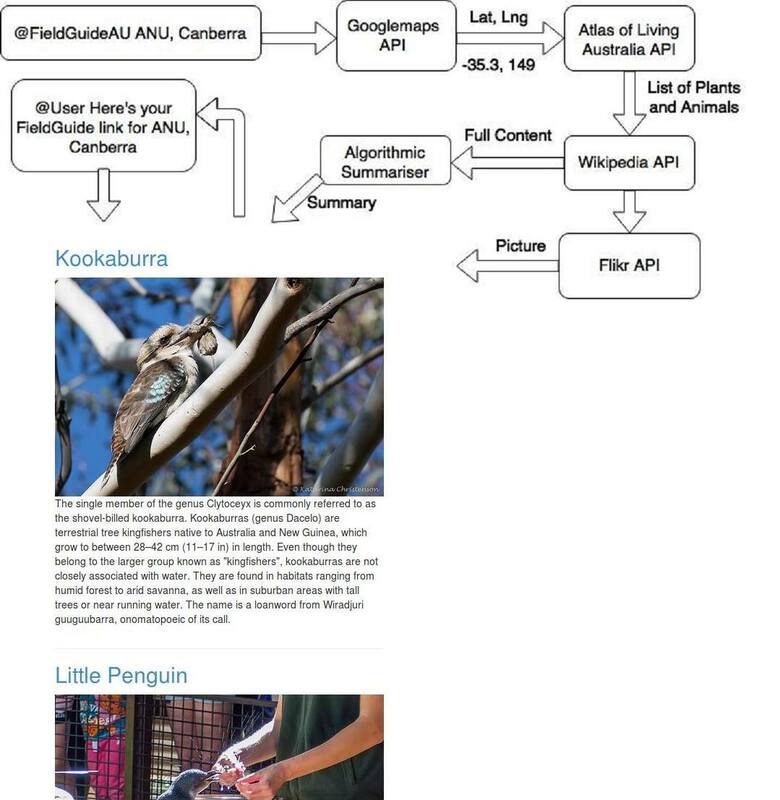 For each plant or animal an image is attained through the Flickr API, content from the wikipedia page is attained and it's summarised through our natural language algorithm. That information is stored in the database with a key, when the user visits the website the summaries are dynamically generated from the database and presented to the user, personalised by including their name. Best digital transformation hack - The project is a congregation of several public APIs and a familiar endpoint for many users - Twitter. It merges the power of the ALA API with the ease of use of Twitter. Health and wellfare - FieldGuideAU provides a great incentive to go exploring new areas. 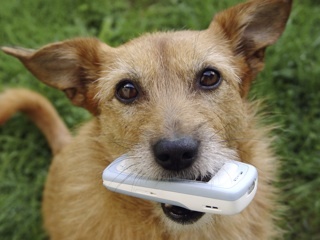 NOTE: Since the ALA API is currently down FieldGuideAU instead tweets a curated set of animals. The functionality to integrate with ALA is all there and when the API is back up it can be reintegrated immediately.